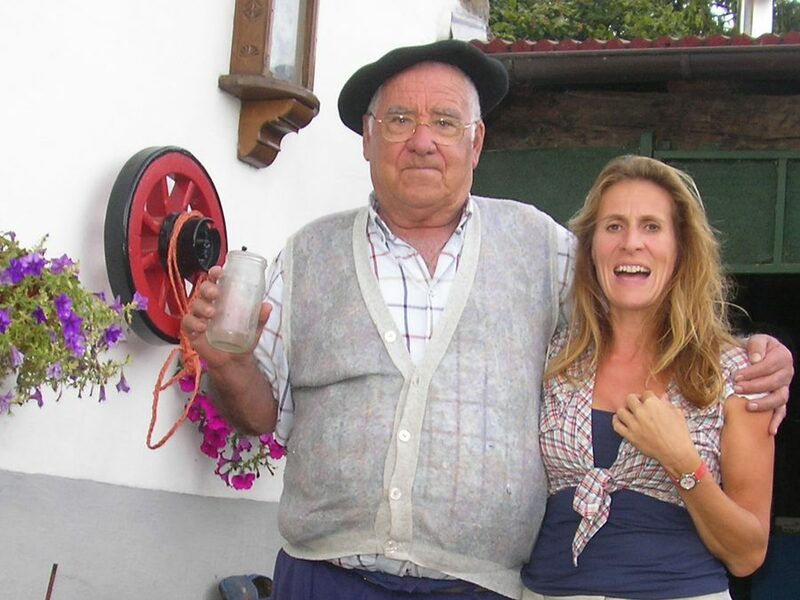 Here is a picture of Amatxi and Atautxi, as I have always known them; the ‘grandparents’ who adopted me when I arrived in Ameztia 10 years ago and helped me to bring up Marion when she made an appearance 3 years’ later. Amatxi who taught Marion how to sow, how to make bread, how to plant potatoes and Atautxi who taught her how to take the corn grains off the husks and separate out the black beans as they lay out to dry in the sun. 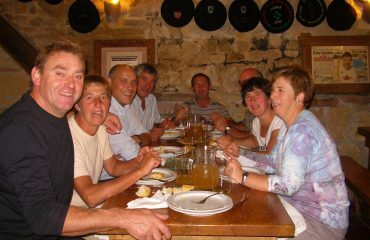 I have learned so much about the Basque culture from them. From Atautxi we have listened to tales about the witches and the Lamiak (beautiful blond sirens that lived in the rivers and would lure single shepherds to their death); about how to cut firewood by the phases of the moon and even plan the birth of a son or daughter by similar methods! And Amatxi who remembers lying in bed as a girl listening to the sounds of the Portuguese and their horses creeping past the farm at night as they were smuggled over the border into France with the help of local guides; who told me of the mothers with new born babies working in the fields with roof tiles strapped to their heads. (In the past the church had ordered all mothers to stay under the ‘roof’ of their house for the first 40 days after their child’s birth). With them lies so much history… for the Basque history is an oral history .. and there is still so much to document. And when they leave us, a part of Basque history will go with them forever. 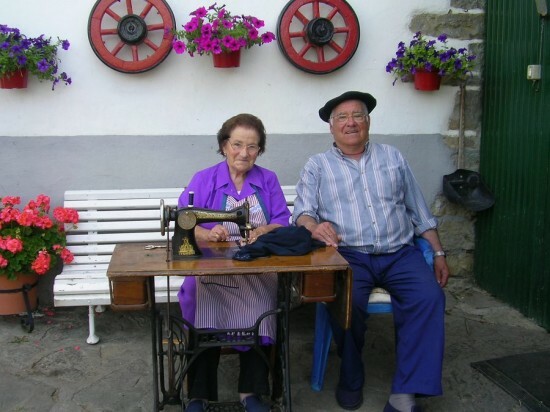 A month ago Amatxi and Atautxi (grandmother and grandfather in Basque (their real names are Ilaria and Manuel) celebrated 60 years of marriage. 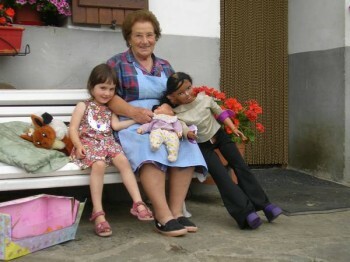 The celebrated the day together with their 49 children, grand children and great grandchildren. With two more expected this August. 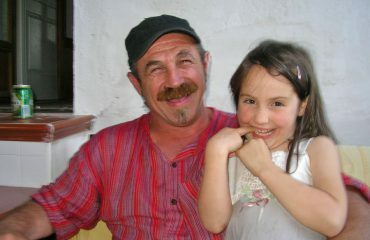 Two weeks later Atautxi was admitted to hospital with Pancreasitis and he has been there ever since. We are not quite sure of the future. Our thoughts are with them. Atautxi as his usual humorous self! So sad to learn of Atautxi’s passing. I’ll always remember his happy face greeting us whenever we passed by. Hopefully those memories will stay with us and with you ….. I’m thinking of you all. How very sad to hear your news. As you say slowly things change and times march on. 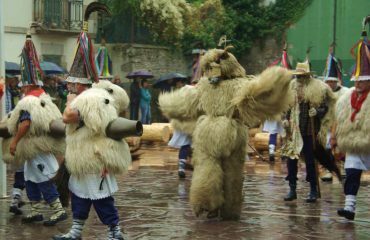 All you can do is to remember Atautxi well and know the he too now forms part of that rich heritage of your beloved area. Please pass on our best wishes to Atautxi, hoping that he will recover quickly. I am sorry to say that I have just had the news that he has died. An era has come to an end in Ameztia. I’m so sorry, Georgina. He truly was part of the soul of Ameztia and it’s hard to imagine it without him. Our condolences to everyone, especially Amatxi and the family.